Updated: October 25, 2016: There are at least a half dozen stoves on the market that are fully automated or have some automated features that are gaining traction. 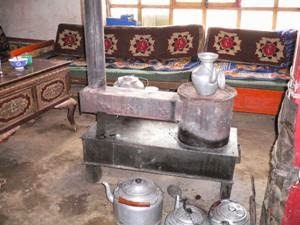 Many of these features help the stove burn cleaner and are aiming at a demographic looking for easier operation. 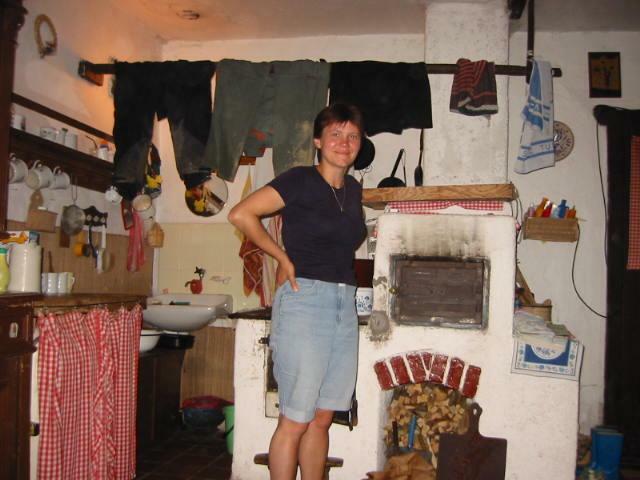 We define a fully automated wood stove as one where the consumer can "load and leave" and not have to worry about adjusting the air flow to get an optimum burn. 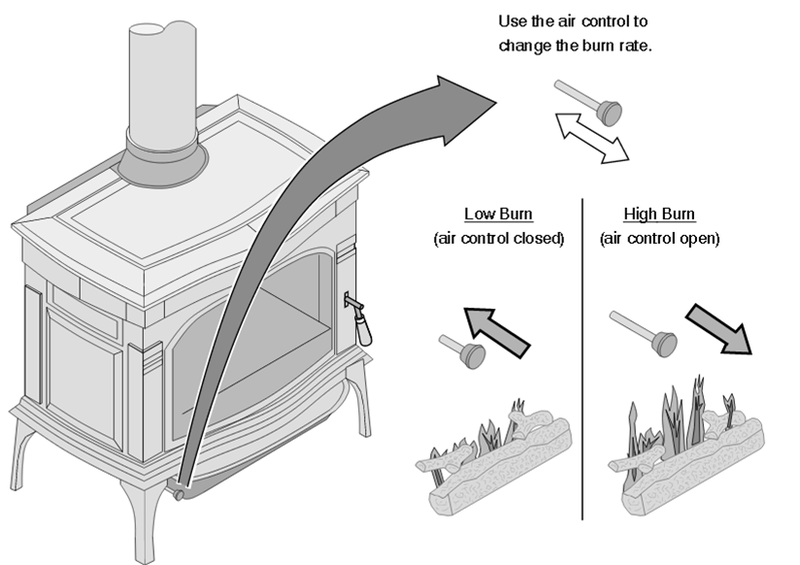 On all traditional wood stoves, the consumer must adjust one or two levers that control the air. Often consumers don't do this well, resulting in poor combustion that fails to maximize efficiency or minimize smoke. 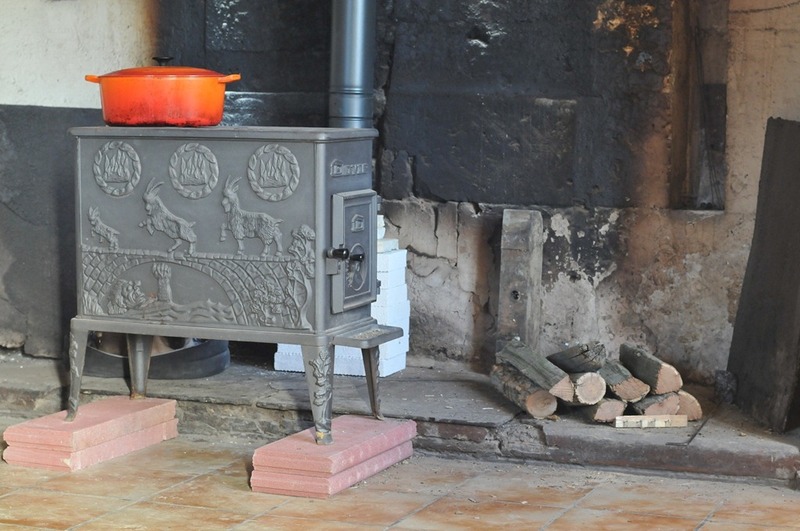 Thus, even a brand new wood stove that performed very well in the test lab can perform very poorly in the hands of an inexperienced or inattentive operator. There are now two automated stoves on the market. 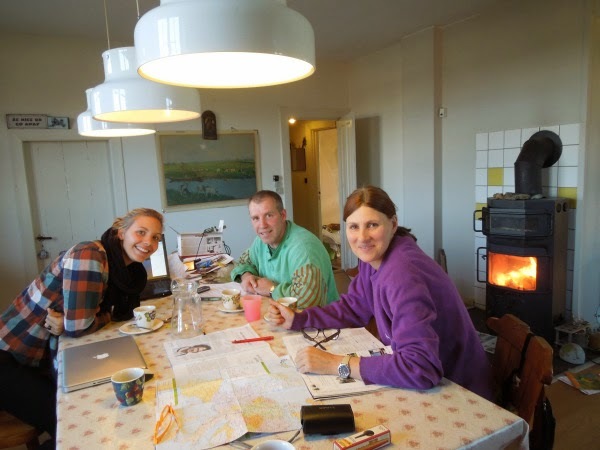 The first is the Adventure stove by Quadrafire, a large, mainstream manufacturer. The other is the fully automated Catalyst by MF Fire, a very small start-up. Both use electronic sensors to monitor combustion and adjust air flow as needed. 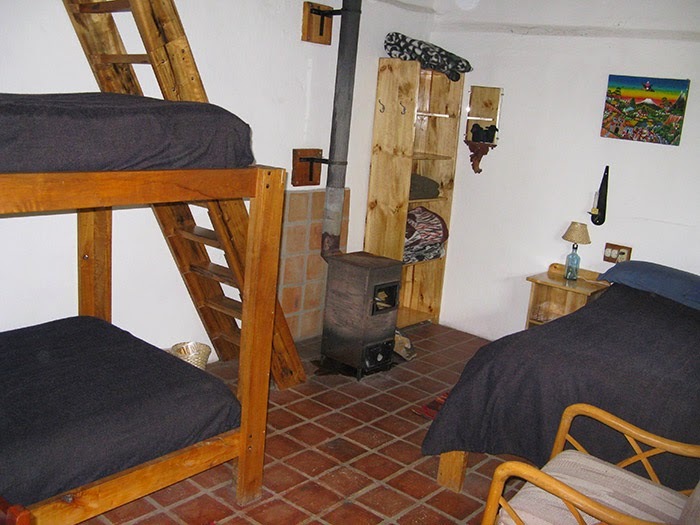 Both stoves need to be plugged in for optimal performance, but will still work if the power goes out. The Adventure series stoves and the Catalyst are great options for consumers who want to minimize smoke from their stoves and enjoy the ease of automation. 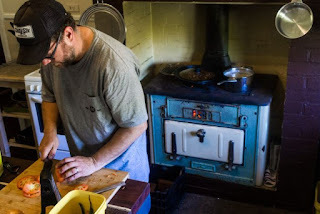 With these two stoves you can leave for the day or go to sleep at night knowing that your stove won't be smoldering away, which is one of the leading causes of excessive pollution from both old and new wood stoves. The real promise of automation is not to get a hot stove to hit an ultra-low particulate matter number in a test lab, but to improve real-world results by seamlessly optimizing performance throughout the burn cycle, reducing start-up emissions, and even reducing emissions from unseasoned wood. 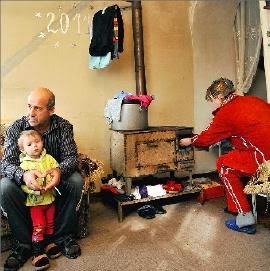 EPA certification testing does not test for real-world performance, and incentive programs do not yet recognize the positive attributes of automated or semi-automated stoves, so stove companies have not had much incentive to invest a lot of time, effort, and money in developing them. In 2013 and 2014, the Alliance for Green Heat partnered with Brookhaven National Lab to assess and test automated stoves and prototypes at stove design competitions. Their designers aspire to be part of a real trend towards cleaner, more automated residential wood heating. But can they do it at an affordable price point? And, are consumers ready for them? 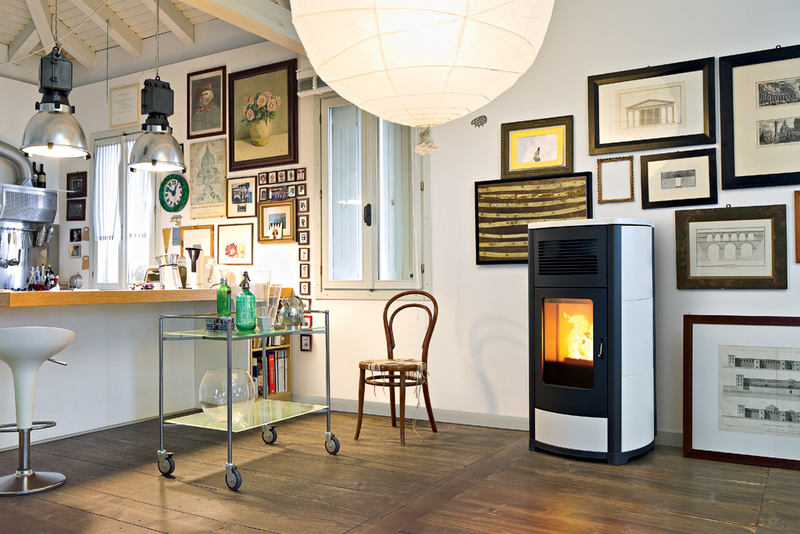 Here, we look at stoves with partially automated features that are already on the market. control the opening and closing of the damper. 1. 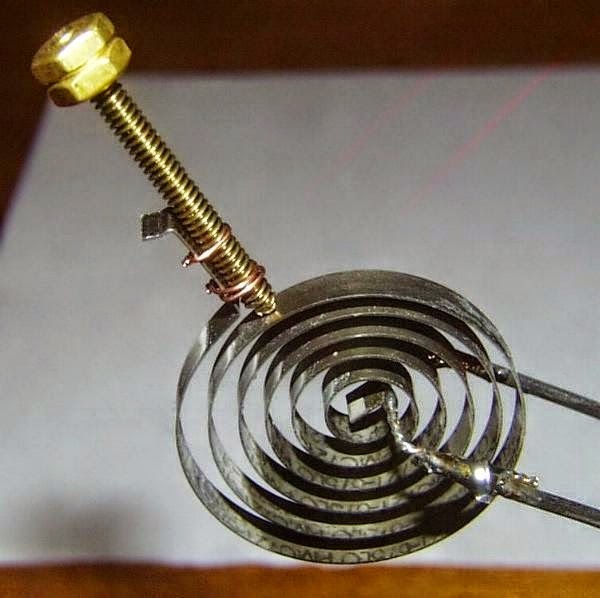 The bi-metal coil. 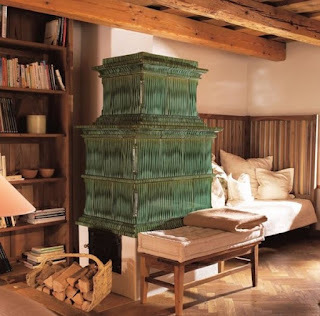 One of the oldest forms of automation of steel wood stoves is the bi-metal coil which has been used on scores of stove models and is now mostly just used by a few catalytic stove makers, principally Blaze King and Vermont Castings. A bi-metal coil is simply a thermostat run by a metal coil that can close a damper down when it's really hot, and open it up when it's cooler. The stove’s air inlet can still be operated manually, but the bimetal coil will adjust the air inlet further. 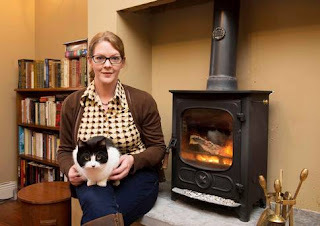 They tend to not work nearly as well on non-cat stoves, because the temperatures in a non-cat firebox can be more unpredictable, and if the coil shuts down the air, or opens it too much, the stove would operate poorly, which adds far too much uncertainty in passing the EPA emissions certification test. A new, more sophisticated version of this technology is the VcV valve developed by a Australian company and Ben Myren. reduces air flow once the stove is hot. 2. Better start-up: Three companies have features that help start-up: the England Stove Works"Smartstove", the Quadrafire "Automatic Combustion Control" and the Travis "Green Start." They all use different automated approaches to starting the fire quicker and with fewer emissions. 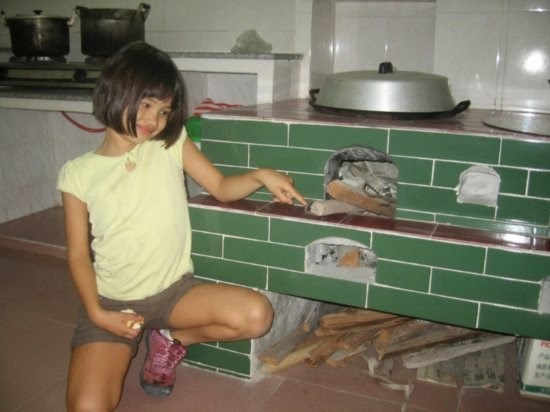 After the start-up period, the stove operates like any other. air in the first 25 minutes. Another recent arrival on the market is Quadrafire’s Explorer II, which provides a similar automated start-up. 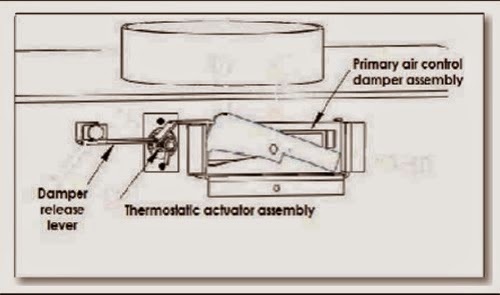 The website says “Automatic Combustion Control-provides the fire with air when it is most needed-leading to longer burns.” A marketing video says the operation is so easy that all you have to do is “load the wood, light the fire and walk away.” According to the installation manual, ACC is basically a timer which the operator must manually initiate with a control mechanism. Essentially, it opens the front air channel which allows air to enter for 25 minutes before closing. 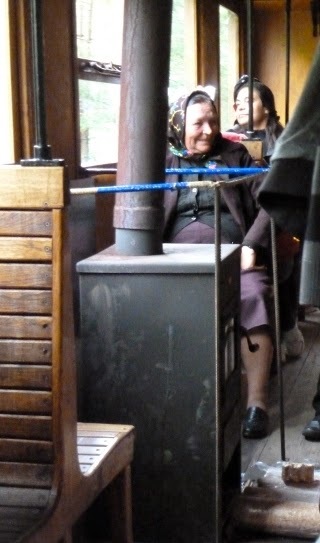 Once the front air channel is closed, manual controls are used to deliver preheated air to the top of the firebox to burn the rest of the unburned gases in the remaining three combustion zones. adjusts the rate of burns. 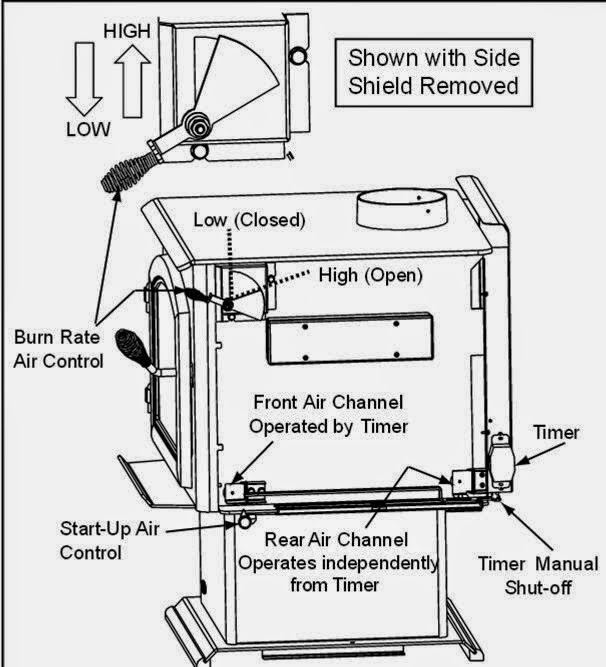 Travis industries Hybrid-Fire technology™ developed an automated “Greenstart” which shoots 1,400 degree air into the firebox for 15 minutes to start your fire, or when you reload. 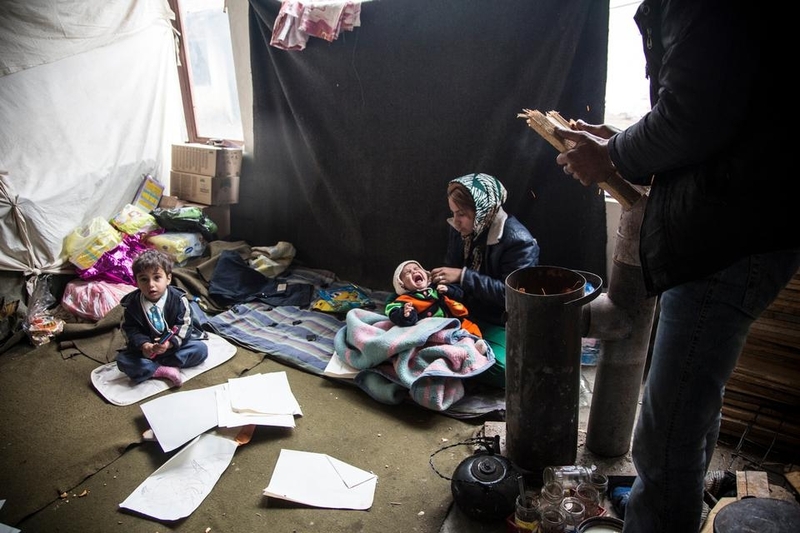 The Greenstart can significantly reduce start-up emissions, and emissions during reloading on a low temperature bed of coals, by jumpstarting the start-up process and heating the wood up faster than it would with newspaper. 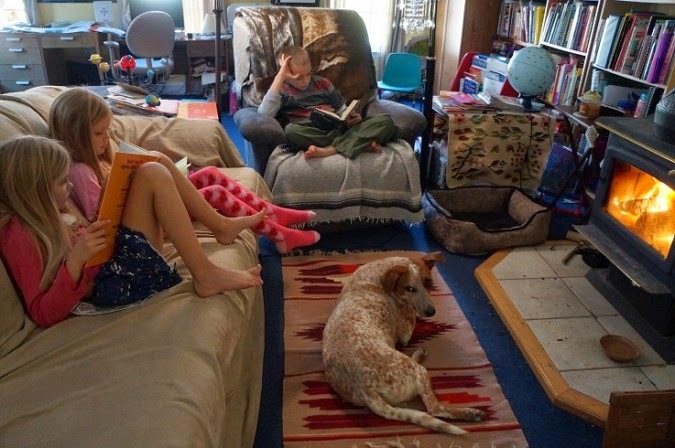 After the first 15 minutes, the stove has no automated features, but some of the Travis stoves that use catalysts are among the cleanest in the industry. 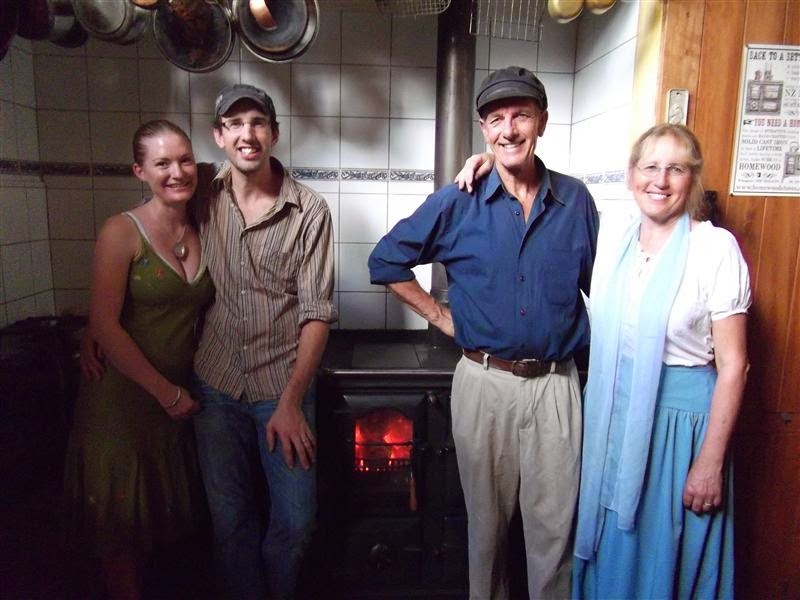 The Travis Cape Cod stove won second prize in the Wood Stove Decathlon. 3. Remote operation. A remote control device does not necessarily provide any automation to the air flow. It can just allow you to do it manually from the couch. However, some like the Nestor Martin’s Efel has a partial “automatic mode” that can keep the room at a desired temperature. 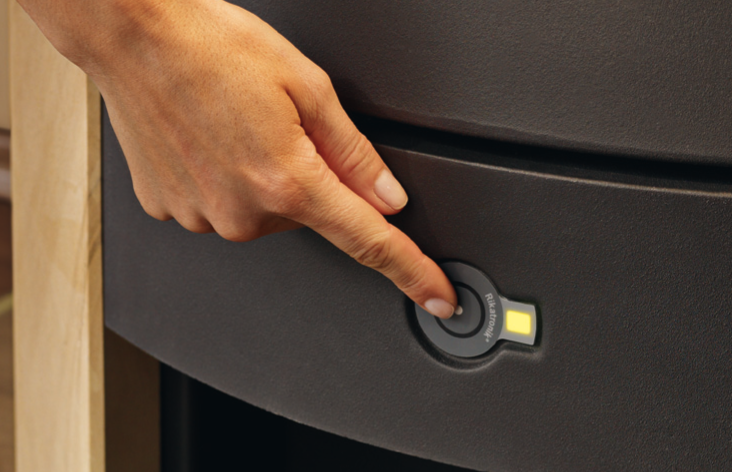 In timer mode, it can adjust the room temperature at a pre-set time. 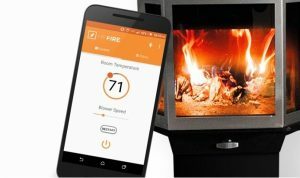 The stoves uses a simple ambient air thermostat in a remote control device that you can operate from the couch or anywhere nearby. 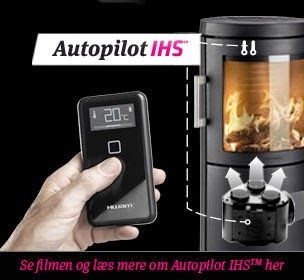 If you don’t use it in automatic mode, the remote control allows the user to adjust the intensity of the fire just as you would with a manual air control. One of the key things that distinguishes this Efel from truly automated stoves is that there are no sensors in the stove that can prevent the stove from smoldering or override an adjustment by the operator that would make the fire smolder. 1. The final two stoves are more fully automated stoves and are on the market in Europe, but not in the US. Danish company HWAM has integrated a new patented system: Autopilot. Along with the Austrian Rikatronic, described below, the Hwam is one of the most advanced and fully automated stoves in Europe. HWAM 3630 IHS features a control system that electronically measures combustion conditions through the use of a lambda oxygen sensor and a thermocouple. An onboard computer then allocates combustion air through three separate valves to help the consumer achieve the same results at home that are obtained in test labs under ideal conditions. 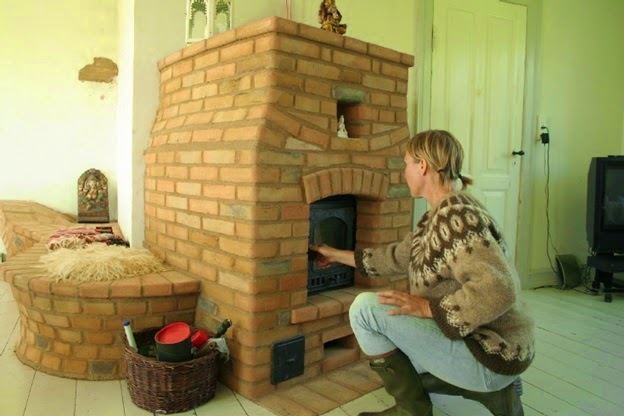 According to the Danish Technological institute, HWAM stoves with this system are 17% more efficient and produce 40% more heat. which drives the RLS air distribution system. The light tells you the optimal time to reload. it has fresh wood to handle. 2. There are numerous versions of the Rikatronic wood heater system. The Fox II stove features manual and automatic control settings. In manual mode the air distribution can be controlled in each combustion phase-even in the event of a power outage. Automation in Rikatronic technology works with a microprocessor-controlled motor and flame temperature sensor which operates the RLS air distribution system. Airflow in each of the 5 combustion zones is effectively adjusted for efficient burn. A red light indicates the optimal time to reload the stove. You can set the room temperature you want and once the required room temperature is reached, you can activate the eco mode by pressing the Rikatronic³ button. 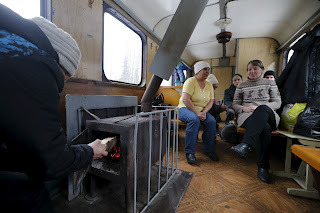 This causes the air supply to be optimally controlled to maintain the fire for as long as possible, without smoldering, and to leave behind as little ash as possible. Power consumption is 2 – 4 watts. 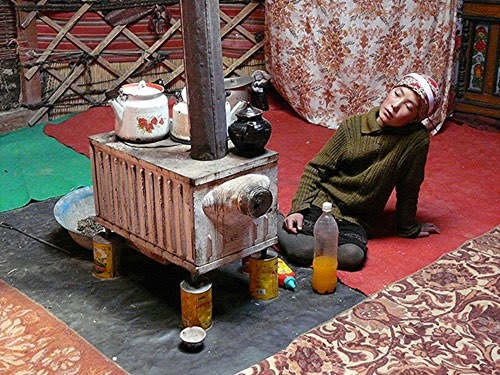 The 2014 Winter Fuel Outlook released by the US Energy Information Agency on Oct. 7, predicted that wood and pellet heating would continue the trend of being the nation’s fasting growing heat source. 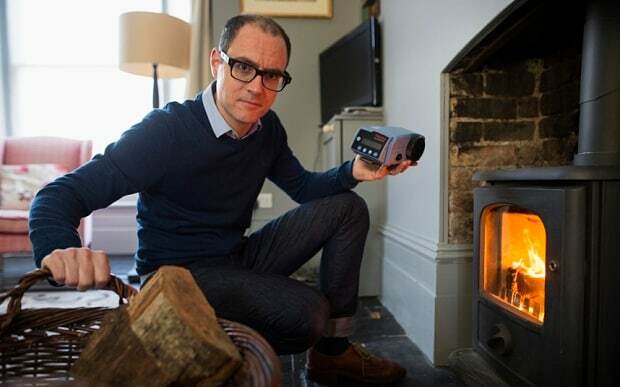 Overall, wood and pellet heating grew 38% from 2004 to 2013, and now accounts for 2.5% of all home primary heating. The EIA predicts wood and pellet heating will grow again in the 2014/15 winter by 4.7%. Electricity is predicted to grow second fastest at 3.1%. Natural gas is at .07% growth and oil and propane are each predicted to drop by about 3.2%. Regional data shows wood and pellet heating growing more than 7% in the northeast and Midwest, and only 2.5% in the south and 1.8% in the west. 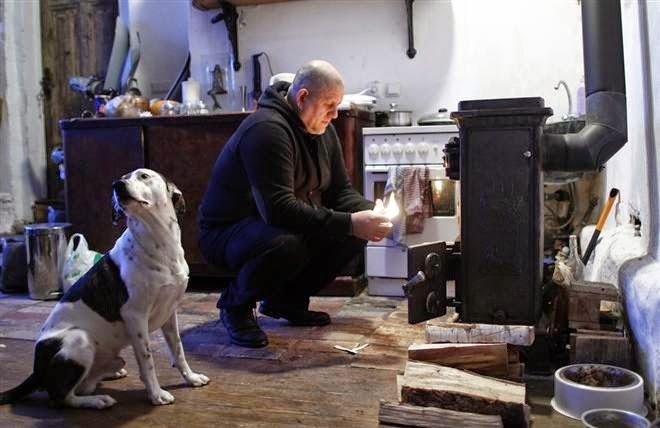 It was only two years ago that the EIA started to include wood and pellets in the 2012 Winter Fuel Outlook, even though far more homes have wood and pellet stoves than have oil furnaces. Nationally, solar and geothermal dominate headlines and media imagery, but wood and pellet heating remain the dominant players in reducing fossil fuel usage at the residential level. 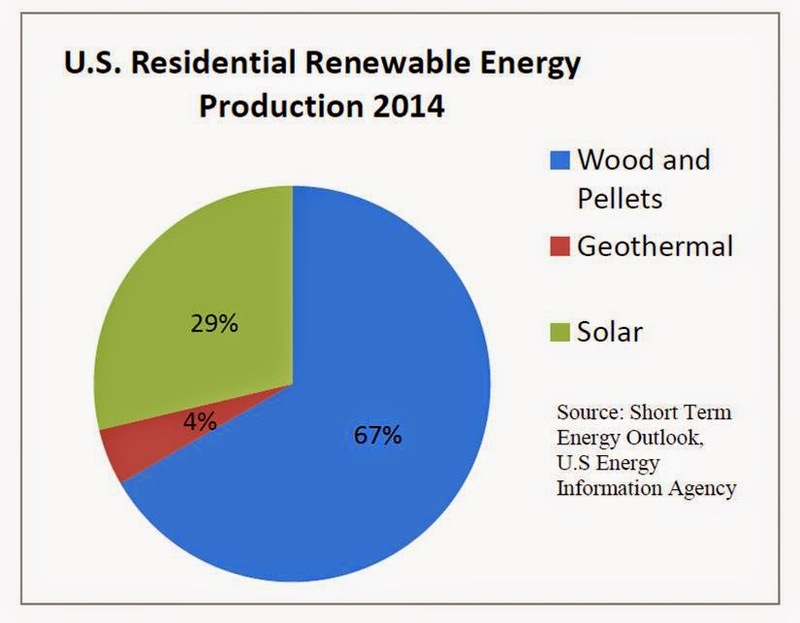 In 2014, the EIA says wood and pellet heat will produce .58 quadrillion Btu, or 67% of the nation’s total, while residential solar will produce .25 quadrillion Btu, or 29%. Meanwhile, geothermal produces only .04, or 4%, and is not showing steady increases like solar. While wood and pellets are the fastest growing heating fuel in America, residential solar is growing even faster in the electricity marketplace. At current rates, residential solar could produce more energy than residential wood and pellet stoves by 2020. Solar has enjoyed generous taxpayer subsidies with a 30% federal tax credit in addition to state incentives. The federal solar credit is set to expire at the end of 2016, but by then the cost of solar panels may have decreased enough for continued growth without federal subsidies. 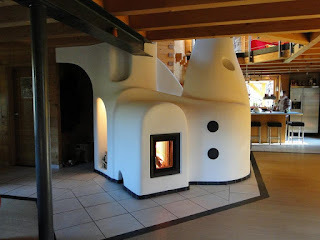 Wood and pellet heating and solar are not competing technologies in that one produces electricity and the other heat. 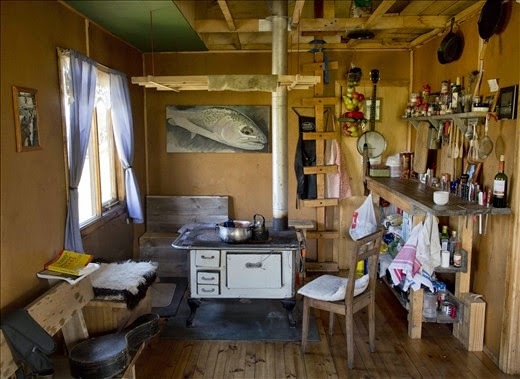 They are often combined to make a home virtually carbon neutral, a process which is moving far faster in Europe than in the US due to higher fossil fuel prices and favorable government policies. In Europe, many countries are aggressively incentivizing higher efficiency pellet stoves and pellet boilers. In the US, the Bush and Obama Administrations did not push for incentives for cleaner and more efficient pellet equipment but rather has let Congress and industry shape a tax credit without any effective efficiency or emission criteria. As a result, the 38% growth of wood and pellet heating since 2004 documented by the EIA is not predominantly an expansion of cleaner and more efficient equipment, as it is in Europe. 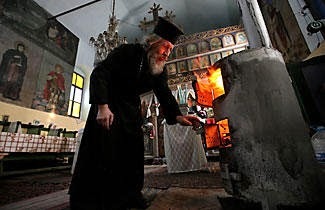 Sales of cleaner pellet stoves are rising in the US, but the growth of wood heating in America includes some very polluting equipment such as outdoor wood boilers, also knows as outdoor hydronic heaters and new unregulated wood stoves, neither of which have emissions standards. After many years of delays, the EPA is finally regulating these technologies and requiring them to meet emission standards by summer of 2015. 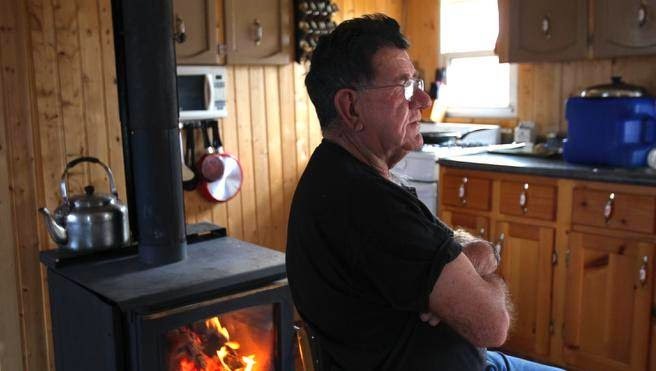 Without effective federal regulations from the EPA, some states have been guiding the market toward cleaner and more efficient wood and pellet heating equipment, with Maine, Maryland, Massachusetts, New Hampshire, New York, Oregon and Washington taking the lead. 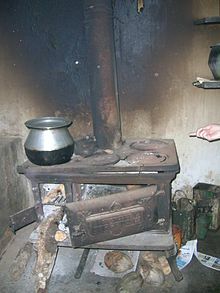 Heating with wood stoves is common in many countries around the globe, particularly in rural area where wood is plentiful. Wood heating is also tied to poverty to a certain extent in most countries and can rapidly grow when fossil fuel prices spike. 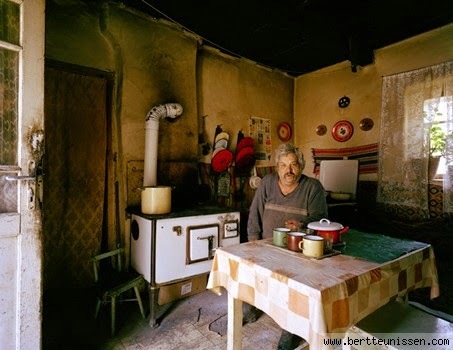 We show typical wood heating stoves in 35 countries, though its impossible to capture a country's stove heating culture in a single photo. 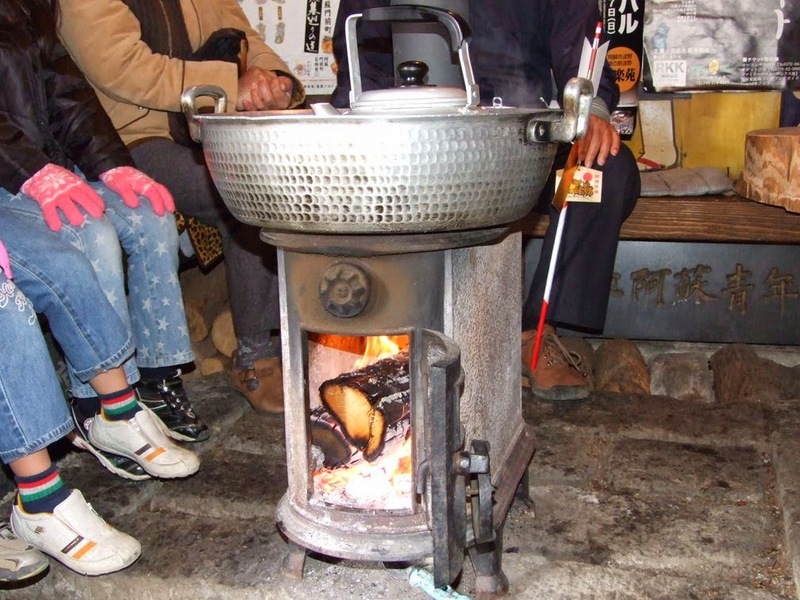 Most countries where wood heating is popular have a wide range of stove technology, from older, obsolete stoves to modern, expensive models. 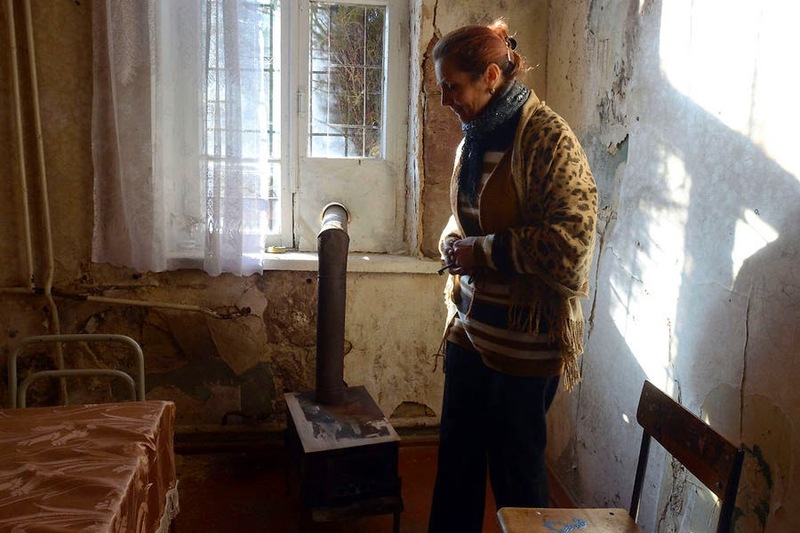 We focused on older stoves as they tend to be more common in most countries to show the widespread problem of stoves that emit higher amounts of particulate matter. 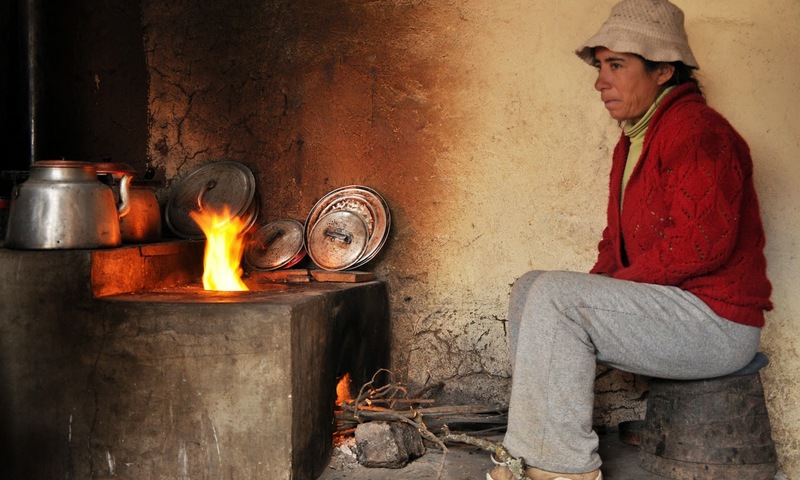 Most countries have no regulations that set particular matter standards for new stoves. 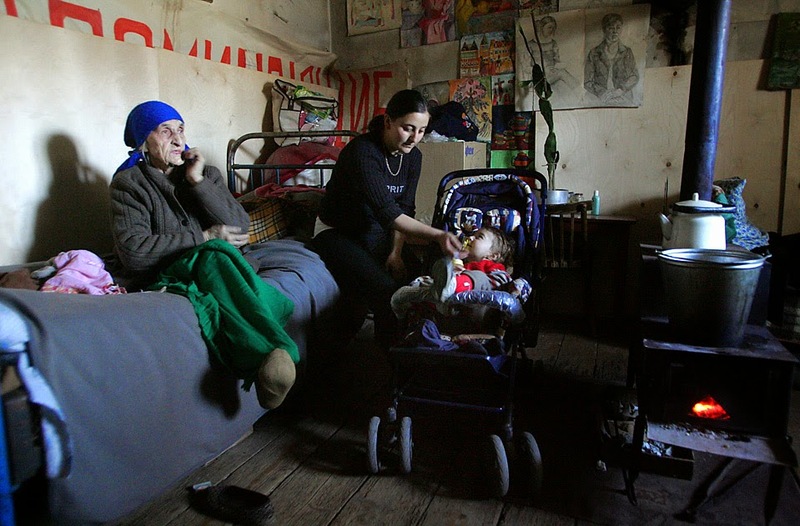 The issue of public funding for change out programs is often not an option. We compiled a separate photo essay of firewood collecting cultures around the globe that tell equally important stories about the benefits of using a free, local fuel as well as the problems it can cause. Many countries are neglecting the development of a generation of cleaner wood and pellet heating stove technology. 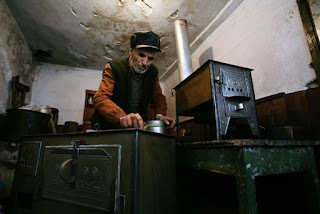 Wood stove technology is developing in many countries, as shown in some of the photos below. But the pace is far too slow to match the economic opportunity and environmental and benefits that wood offers, and the air quality dangers it can otherwise pose. 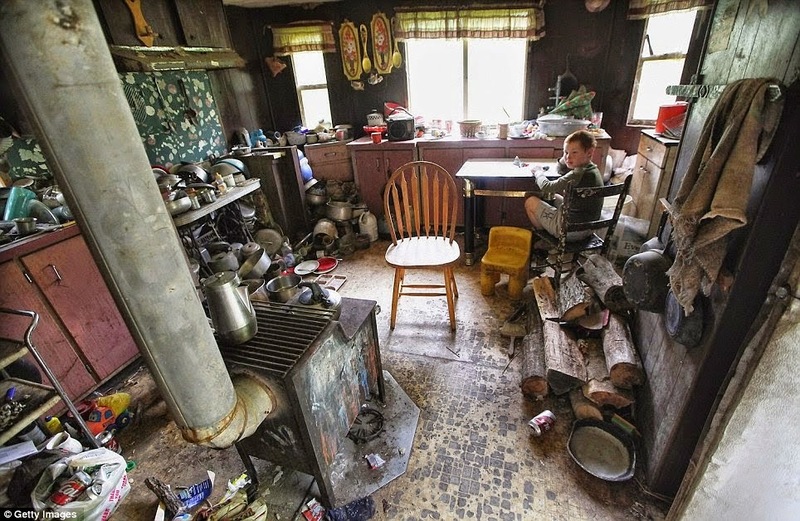 Over the last 10 years, we have seen populations turn to wood stoves in large numbers our of political and/or economic necessity. 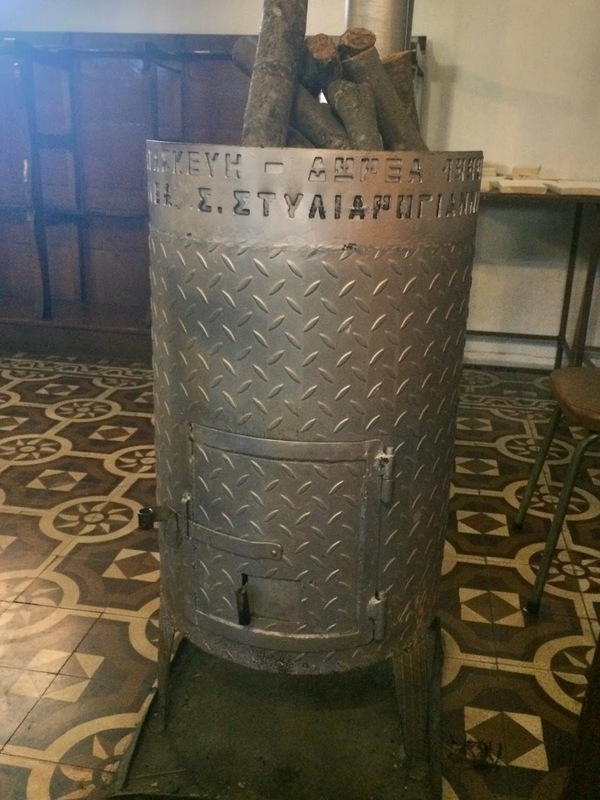 The political crisis in Ukraine is driving increasing reliance on old and new stoves; the banking crisis in the US and Europe contributed to a meltdown in Greece, leading to widespread unemployment and a nationwide resurgence in wood stove use; incentive structures in the U.K. have led to more wood stoves, instead of pellet stoves. 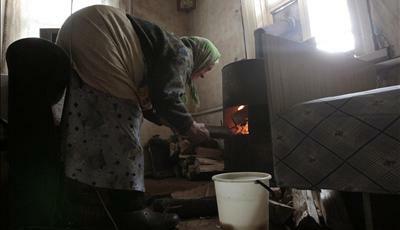 These photos show how this ancient fuel source persists in helping to affordably keep people warm.